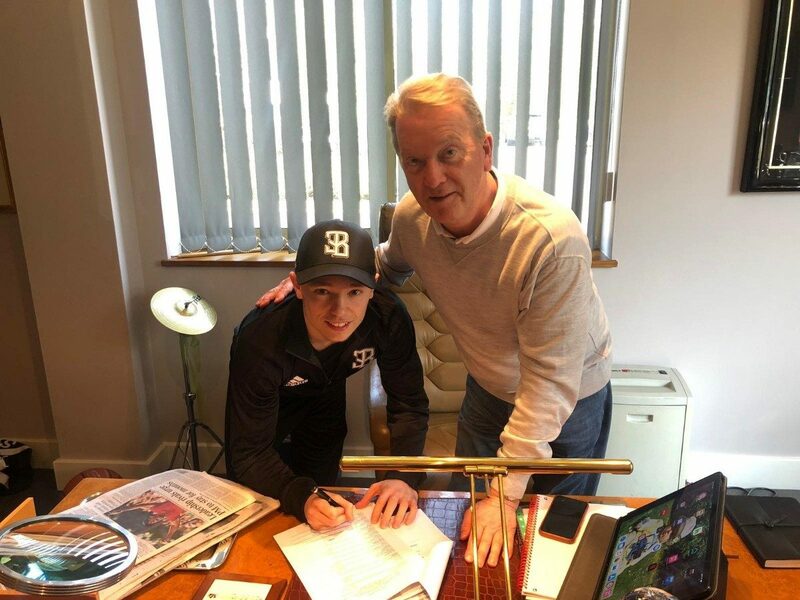 Super flyweight Sunny Edwards has signed a contract extension with Queensberry Promotions as he proceeds with his push towards world level, starting with the defence of his European title against Portuguese-boxer Pedro Matos at The SSE Arena, Wembley on April 27th. The Croydon man, who is managed by MTK Global, has seen himself join the ‘who needs him’ club domestically in recent times with many of his fellow countryman not willing to step up and fight the 23-year-old. But Edwards still hasn’t given up on his quest to find a worthy challenger and will continue his search at a lighter division. “Ideally, I would like some domestic names on my record but can’t see them happening anytime too soon- we looked at the Jay Harris fight but he’s now going for the European title. “We also looked at Tommy Frank, he’s just won the commonwealth and I thought it would make sense with the British title vacant, he brings his Commonwealth and I bring my WBO International and European titles. We tried making that, he wasn’t interested. “There is also Paddy Barnes, but he isn’t going to fight me. 23-year-old Edwards currently holds the WBO European super flyweight title, winning the belt by knocking out Ross Murray in the 4th round of their contest, then successfully defended the title when he put on a classy performance to defeat former EBU European champ, Ryan Farrag. Sunny added the WBO International super flyweight title in December 2018 when he soundly beat tough Mexican, Junior Granados, a win which ranks him at number 8 in the world- and the steel city gym fighter would have no issue with stepping up towards the big boys of the division. “On my day, I can mix it with anyone around my weight in the world. Not saying I can beat them, but I know I can put in a good account of myself. “There’s a reason why I’ve been called to be sparring partner multiple times for world champions. I have proved that I can mix it in there with them and it’s competitive. Sunny Edwards is in action on the undercard of Daniel Dubois vs Richard Lartey at The SSE Arena, Wembley on April 27th where he will defend his WBO European super flyweight title against Portuguese-boxer, Pedro Matos.